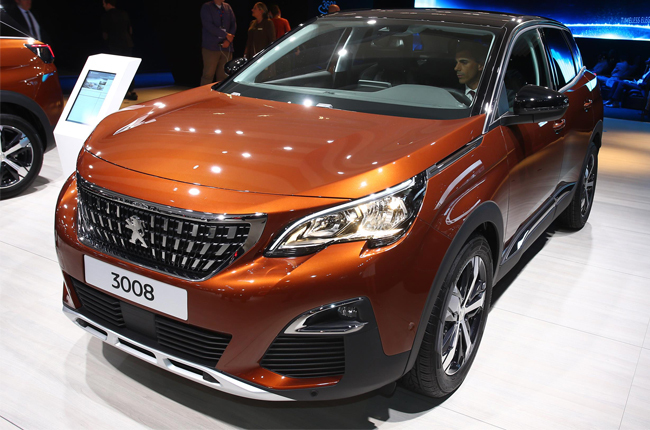 Peugeot has unveiled the new 3008 at this year’s Paris Motor Show. Previously a crossover, it’s now listed as a compact SUV and comes with a new muscular look and the latest i-Cockpit interior layout. The new 3008’s overall look moves away from its predecessor’s MPV-like design to a more rugged SUV silhouette. Its front fascia now sports a longer chiseled hood, new halogen headlights with DRLs, and a wide chrome grille. Meanwhile, character lines above the wheel arches make the flaring of the 3008 look wider. At the back, it has an inclined rear window with spoiler, redesigned LED taillights, and a black rear bumper highlighted by a large chrome strip. As for its dimensions, it’s 80 mm longer (4,445 mm in length), 3 mm wider (1,840 mm in width), and 19 mm lower (1,620 mm in height) compared to the older model. According to Peugeot, its wheelbase is one of the longest in the compact SUV segment with 2,675 mm. Inside, this 5-seater compact SUV is covered in black leather and chrome accents. Furthermore, the 3008 comes with the latest i-Cockpit interior layout. It features a large 12.3-inch digital instrument panel that can be fully customized by the driver. This shows important information at the driver’s line of sight such as navigation directions, driver aids, engine parameters, trip computer, and many more. Aside from that, the 3008 also comes with a mid-dash 8-inch touchscreen infotainment system which is compatible with Apple CarPlay, MirrorLink or Android Auto. This is then connected to a 10-speaker Hi-Fi audio system delivering defined sound inside. In addition, the digital instrument panel and the infotainment system can be controlled and configured using the steering wheel controls so the driver’s eyes can stay focused on the road. Meanwhile, front passengers can sit back and relax on the 8-pocket pneumatic massage seats. They can also set the mood with a touch of a button thanks to the i-Cockpit Amplify which adjusts the intensity of the interior lighting and screen colors. 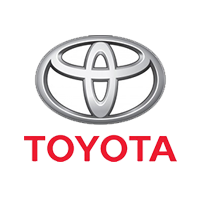 For safety, this compact SUV is equipped with many active and passive safety features such as Active Blind-spot Monitoring, Driver Attention Warning, and Park Assist to name a few. According to the French car manufacturer, the 3008 will have a choice of 6 engines with 2 gasoline and 4 diesel options. 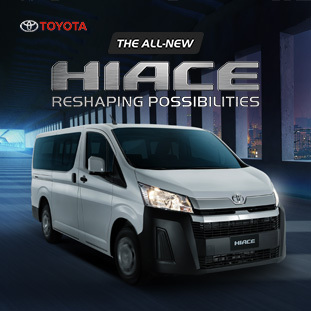 There will be a choice of 2 powerplants for the gasoline range - the 1.2L 130 hp PureTech and the 1.6L 165 hp THP powerplants. These can be mated to either a 6-speed manual or automatic transmissions. On the other hand, the diesel engine will have 4 options available - 1.6L 100 hp BlueHDi, 1.6L 120 hp BlueHDi, 2.0L 150 hp BlueHDi, and 2.0L 180 hp BlueHDi. These engine variants will be paired with a 6-speed manual or automatic gearbox. As for its availability, Peugeot Philippines has yet to announce if the new 3008 will be available here anytime soon. For more information about Peugeot and its vehicles, visit the AutoDeal Car Guide.